Ding Dong – press freedom is dead? So the first fruits of the Leveson Inquiry’s push for press censorship turn out to be a BBC ban on playing ‘Ding Dong! the Witch is Dead’. 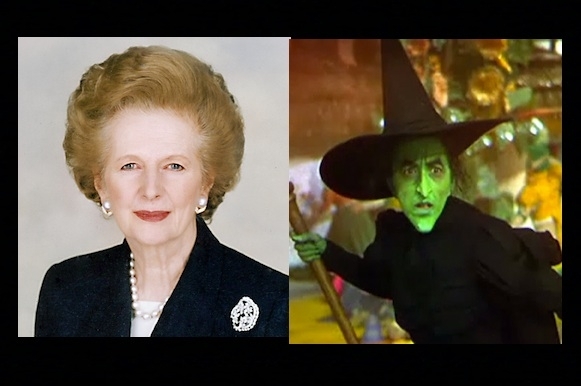 How successful this belated attempt to starve Judy Garland of the oxygen of publicity will be in suppressing unseemly public glee at the passing of Baroness Thatcher is doubtful. But if Sunday’s unlikely victim of nervous self-censorship is just a musical theatre child prodigy from the thirties, we can be sure that future victims will include those with the ‘bad taste’ to speak out against the criminal wars and domestic repression engineered by our ‘democratic’ rulers. With the NUJ busy patting Leveson on the back and the BBC jumping into self-censorship without waiting to be pushed, only journalists of unusual courage can be expected to resist the big freeze that’s coming. Who can doubt now the urgent need to build a movement of collective non-cooperation with the war plans of our masters, at home as well as abroad?